The Marin Council, Boy Scouts of America, operates Camp Tamarancho in the hills above Fairfax. We provide access to several excellent mountain biking trails on camp property in partnership with the Friends of Tamarancho. Details and use conditions are in the FOT application form. Please download the form, read it, sign, and retain a copy. Your submission of payment online with your credit card indicates your acceptance of the terms and conditions therein. 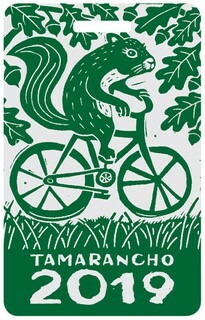 When you buy a pass, you receive email newsletters from time to time with updates about Tamarancho as well as other trail news around Marin. This is a single Day Pass - Please be sure to enter the date you intend to use it at Camp Tamarancho. Your receipt is your Pass. Please print it and carry with you when you come to ride. Children under 16 do not need passes. Do not ride in the rain or when trails are wet.